Many African governments are leveraging ICTs to advance their socioeconomic landscapes. But the governments continue to grapple with a myriad of challenges towards effective implementation of ICT. Among ways the governments are circumventing the challenges is through deployment of e-learning methods. This also faces the challenge of lack of energy to power the gadgets used in the ICT process among many others. Various institutions have however introduced solar energy to supply the requisite power to operate the gadgets especially in rural areas. 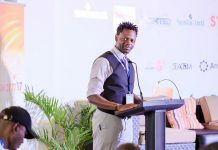 One such institution is the Maendeleo Foundation, an organization that makes computers available in areas of Uganda where there is no electricity or broadband Internet which is headed by Asia Kamukama as its Executive Director. For Kamukama, innovation means a four-by-four with solar panels strapped to the roof, the boot containing all the equipment needed for a fully-functional ICT classroom. While infrastructure in the equatorial region is underdeveloped, it does have a key advantage: plentiful, reliable sunlight. Mobile solar classrooms, an ever more common sight trundling along the potholed roads of rural Africa, show that the creative use of an abundant resource can overcome disadvantages. In this way the Maendeleo Foundation has reached 37,000 people in East Africa – 80% students, but also teachers and out-of-school groups: youth, women, farmers and local business people. One place where innovators and policy makers come together, to make their voices heard and work together for change, is the eLearning Africa Conference. Taking place in Kampala, Uganda, from 28 – 30 May this year, its programme, now online, unites developers, researchers, technologists and teachers from across the Continent under a common theme. 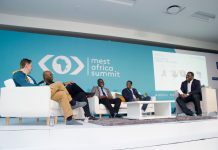 This year’s edition, “Opening Frontiers to the Future”, is set to highlight the many ways in which innovations in education, such as the solar classrooms, are helping to realize Africa’s potential. 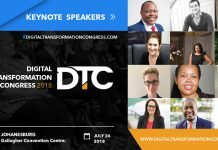 Keynote speakers including leading entrepreneur Rebecca Enonchong and Bitange Ndemo, senior lecturer at the University of Nairobi and former Permanent Secretary of Kenya’s Ministry of Information and Communication, will present expert commentary, success stories and incisive critiques of Africa’s eLearning scene. Giving key insight from some of the most influential companies in the eLearning sector will be: Noah Samara, Chairman and CEO of Yazmi; Jochen Polster, Vice President EMEA, NComputing; Mark East, General Manager Microsoft EMEA and ASIA Education Industry Group; and Bright Simons, writer, researcher, social entrepreneur and President of pioneering eHealth network mPedigree. Over 60 parallel sessions will highlight the staggering diversity of technology and education that is transforming education in Africa. In addition, on the 28th, a varied selection of workshops will give participants the opportunity to learn hands-on skills for blogging, digital video authorship and digital entrepreneurship. A diverse mix of grassroots practitioners, governmental representatives, academic researchers and teachers, business leaders and innovators, this Conference will be an opportunity for all to learn, share and inspire each other to work towards the fulfillment of Africa’s potential.